The website that cares for older adults. 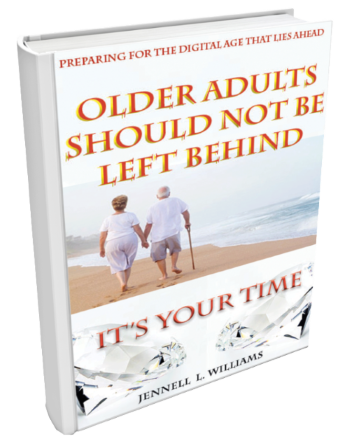 The Author’s Website is hosting Jennell’s newly launched book entitled “ Older Adults Should Not Be Left Behind”, “Its Your Time” inspires older to view themselves as precious jewels. Older Adults are encouraged to remain alert, active and gain the technology skills needed to sustain independence and prepare for our Digital Society of today.